Leaves provide an endless source of good designs. These five cottonwood leaves and their frosty background could have been framed with wood or metal. The quilting provides a new variety of framing techniques to pick up the colors in the composition. Small quilts are perfect for decorating more intimate rooms. They are east to hang, store compactly, and don’t break when you drop them! Some quilts are hung matted, behind glass for safekeeping, but it takes away the temptation to touch the stitching. By all means, touch the quilt! It is far more than an image. Leaves provide everything I need to decorate a bowl or a quilt. 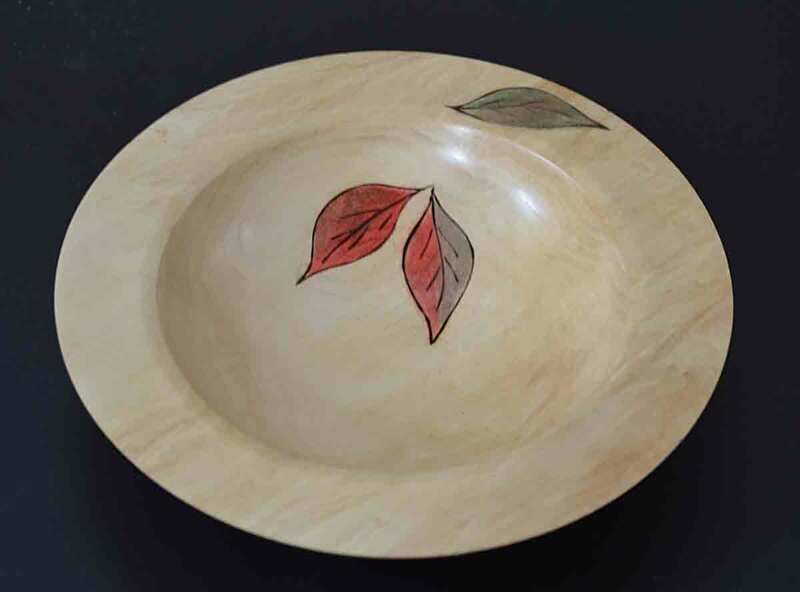 Already perfect in nature, they fall gracefully into a bowl, or scatter across a silk painting. 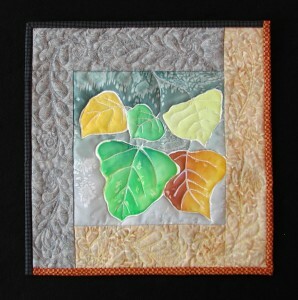 For the Studio Tour on the 15th and 16th, I will have a collection of work featuring leaves. For all the details of the tour, go to Front Range Open Studios.